The Energy Cooperative is supporting our local veterans, one gallon at a time. On Veteran’s Day, 2015, The Energy Cooperative (TEC) unveiled its latest addition to the propane fleet of vehicles — a bobtail delivery truck with an American patriotic design. This truck does more than just make propane deliveries. Its special purpose is to “pay-it-forward” to those who sacrificed for us – for every gallon of propane delivered by the patriotic truck, one penny is donated to the American Veterans Support Grant. The grant was established by TEC to support local, non-profit organizations that help military personnel, veterans, and their families. Pictured from left to right: VFW Dresden, Ohio Post 11072 Commander Jerry Wade, Quartermaster Donald Beers, TEC Propane Senior Driver Mike Sharkey, and TEC Propane Operations Manager Bob Herron with the Veterans propane truck. A grant provided by The Energy Cooperative allowed the Dresden VFW to make repairs to their food service trailer. For consideration for funding through The Energy Cooperative’s American Veterans Support Grant, please fill out the application below.  If you have questions or need assistance, please call (800) 255-6815, extension 1220 or email pr@theenergycoop.com. TEC is among more than 900 cooperatives across the country that provide energy services and support our nations veterans of all generations. The American Veterans Support Grant will assist military service organizations throughout TEC’s service territory that assist with veterans’ health, housing, education, career development, family support, and more.